I hope you all had a wonderful Christmas! I will be back on Monday with a complete recap of Christmas Eve and Christmas Day. But until then, I thought I'd share with you some more of our Elf on the Shelf Shenanigans. 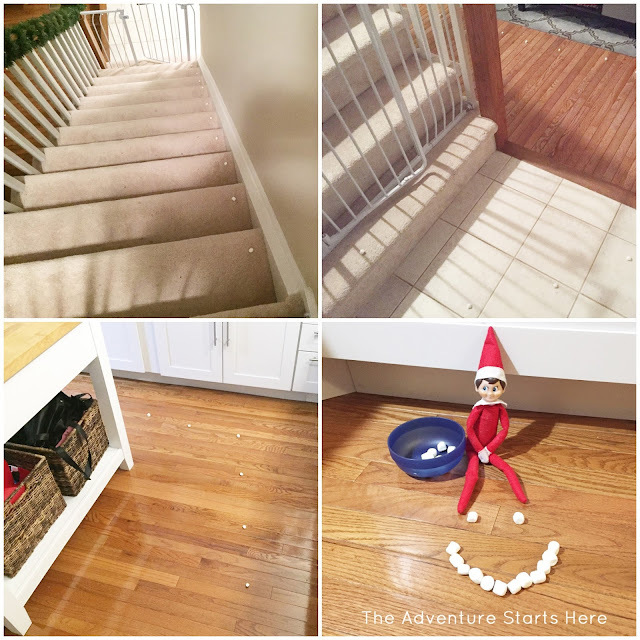 This was the first year the Elf on the Shelf has visited our house and we have really loved it! 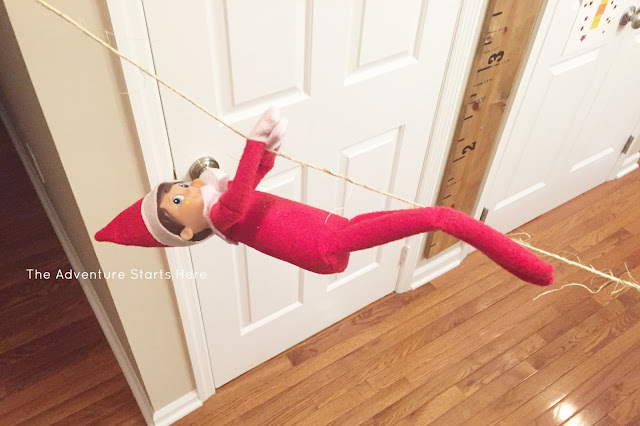 I have to admit that I was hesitant to start this tradition because of the mischief that some elves cause. But I really love that Chris created fun and creative scenarios without taking it too far. I also think it helped that we waited until Noah was old enough and really into it. Since I really loved what Chris came up with (he's come up with all the ideas and executed each one on his own), I wanted to share all of Buddy's Shenanigans (week 1, week 2, and week 3). And finally, here is our last week of Buddy the Elf. 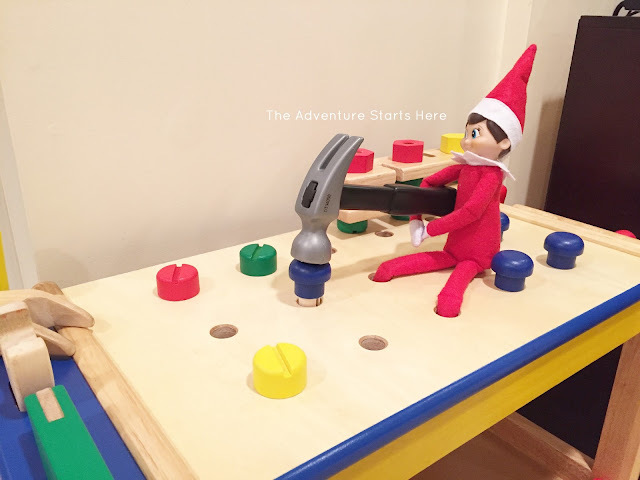 Sunday - Buddy was found in the basement playing with Noah's tool bench. I guess he decided since Noah was using him as a hammer last week (when doing the puzzle), that he'd show Noah what a real hammer looked like! Monday - Buddy took out some baking supplies hoping it would encourage us to make some yummy treats. 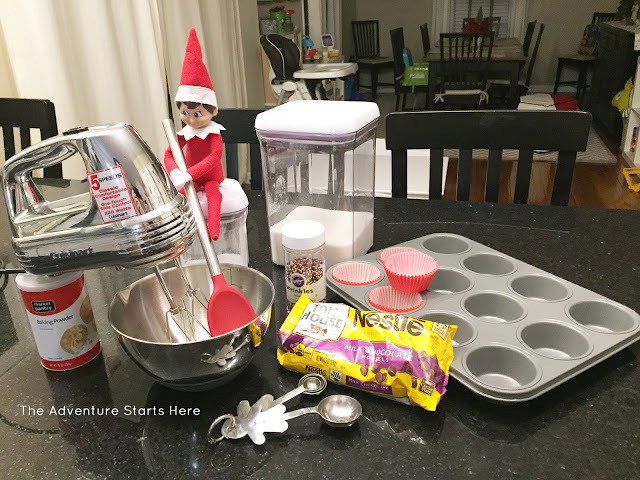 While the supplies made me think Buddy was confused as to what he wanted to eat, Noah and I decided to make our Apple Zucchini Muffins. Wednesday - Noah had to follow a trail of mini marshmallows to find Buddy, who was enjoying a midnight snack in the kitchen :) Buddy even saved a couple for Noah! I hope you enjoyed our month with Buddy the Elf! 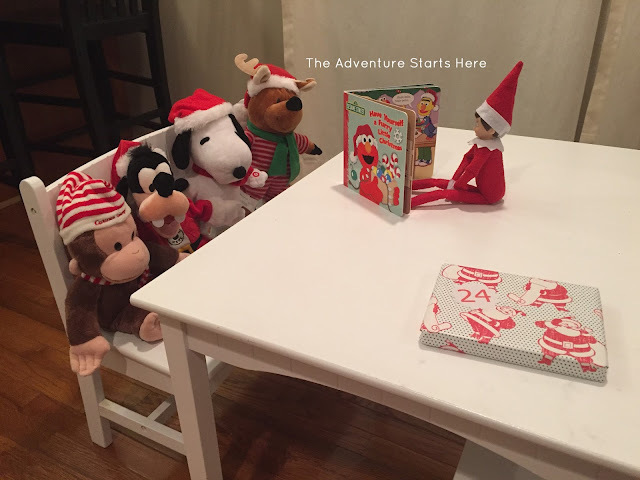 Did you do The Elf on the Shelf this year? 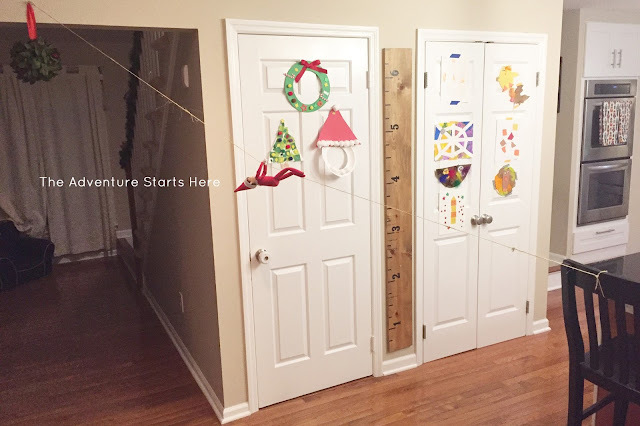 Have we inspired you in any way for your future "elf shenanigans"??? 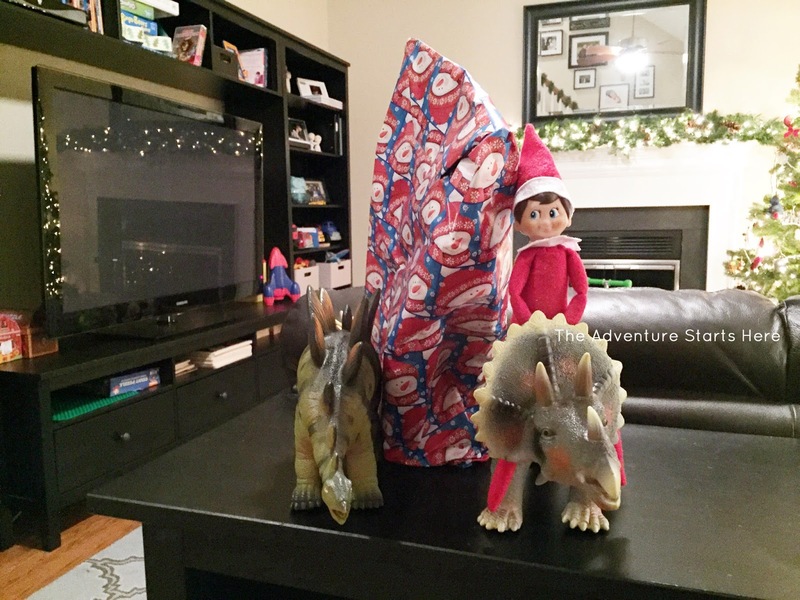 I think it's cute you had Buddy come back on Christmas Day! Like he was helping Santa deliver Noah's presents.